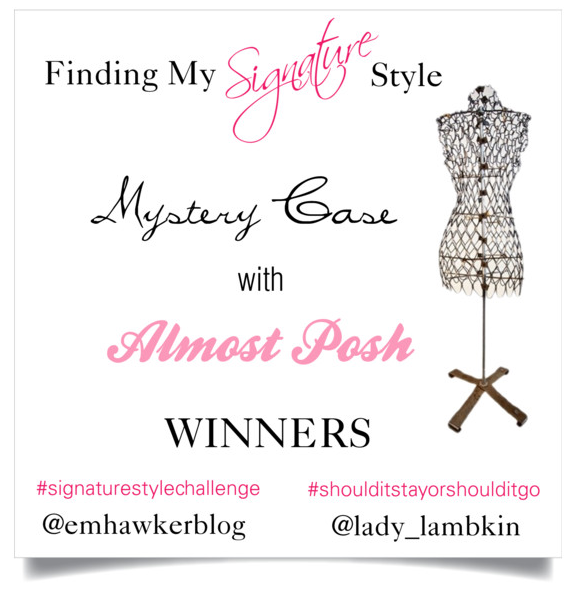 Raychael from Mystery Case and I thoroughly enjoyed seeing the entries for our two Instagram challenges running throughout May and are super pleased to announce the winners! Em was a prolific and creative entrant in the #signaturestylechallenge, not only showcasing her own style but using other Instagrammers' style snaps as inspiration. She even picked ME! (quietly thrilled). Meanwhile, she was also hitting a bunch of other challenges, which impressed the judges. Jen posted two dresses she was unsure about for #shoulditstayorshoulditgo (even though she looked totally cute in both) and generated good discussion about potential hacks and fixes that would keep them in her wardrobe. She has advised she has already shortened one and we're looking forward to seeing it. 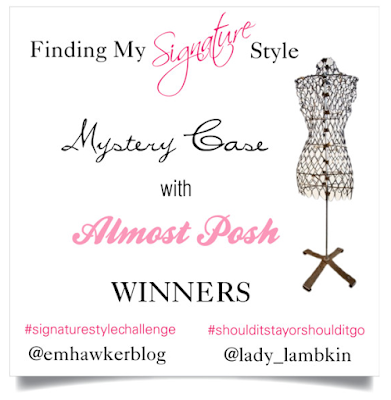 Both entrants have an exciting designer mystery prize heading their way! If you're keen for another Insta challenge, why not check out the latest collabo from Mystery Case with Bron from Flat Bum Mum. It's about Undercover Active Wear . . . making your workout clothes do double duty in the "real world" without looking like you've just stepped out of pilates class. Now, just because the challenge is over, there's no reason not to get your signature style on, and there are plenty of sales around at the moment to help you do just that! From Friday June 9, The Iconic are ramping up their end-of-season sale with a further 30% off sale items! Use code EXTRA30, valid until midnight 14 June. Styletread have just launched their winter sale with up to 50% off selected styles and free shipping over $65. Forcast have 50% off selected styles for a limited time, with free shipping over $50. Finally, my new affiliate partner Katies is having a further 30% off already reduced sale styles! Are you hitting up the current sales? Post contains affiliate links. By clicking through and purchasing, you don't pay any extra but I earn a small amount of coin to have my own go at the sales. For more information, please see my PR and Media policy.